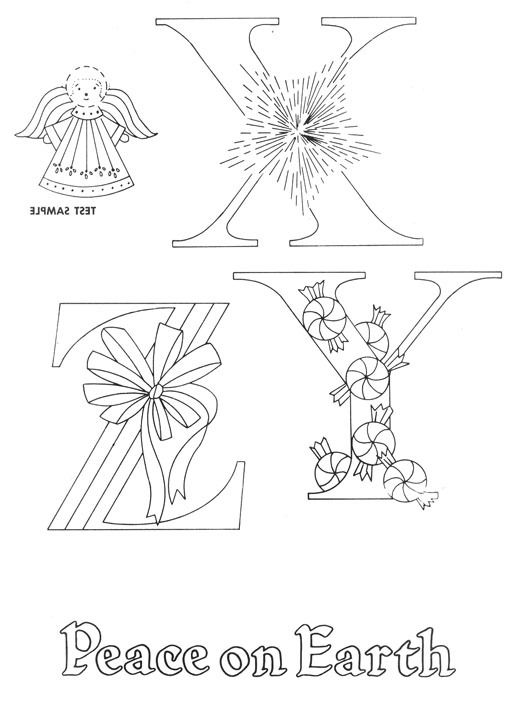 As promised here is the last of the alphabet. I love this version of Christmas letters. 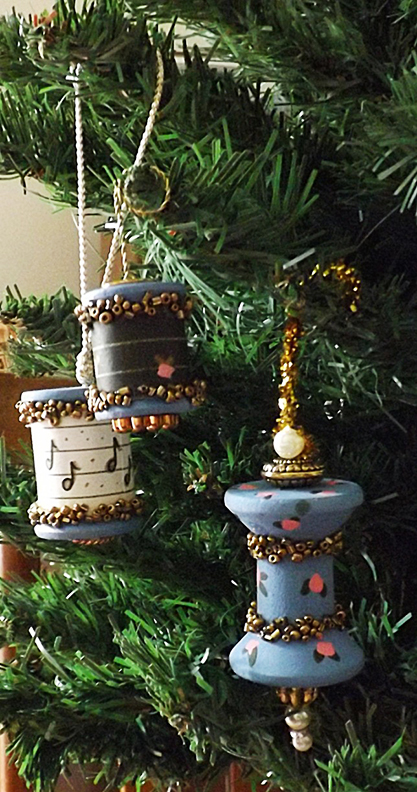 It is so whimsical and adaptable for so many different venues. 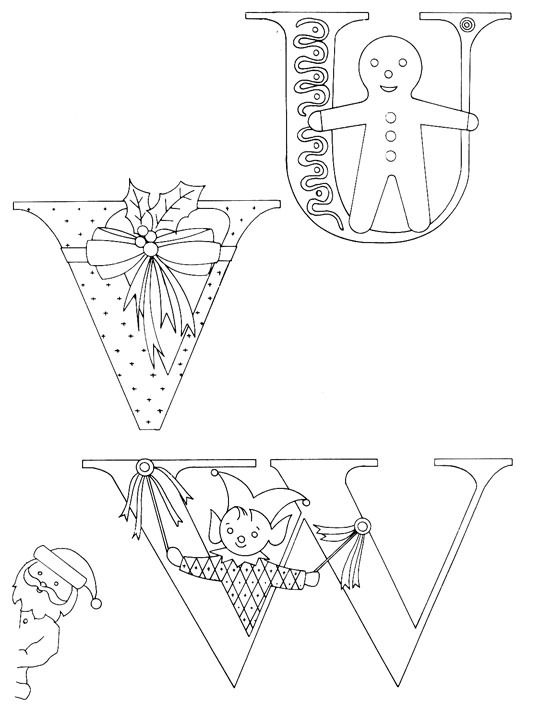 The letters could be appliqued using either cottons or wool felt and the rest embroidered on top. 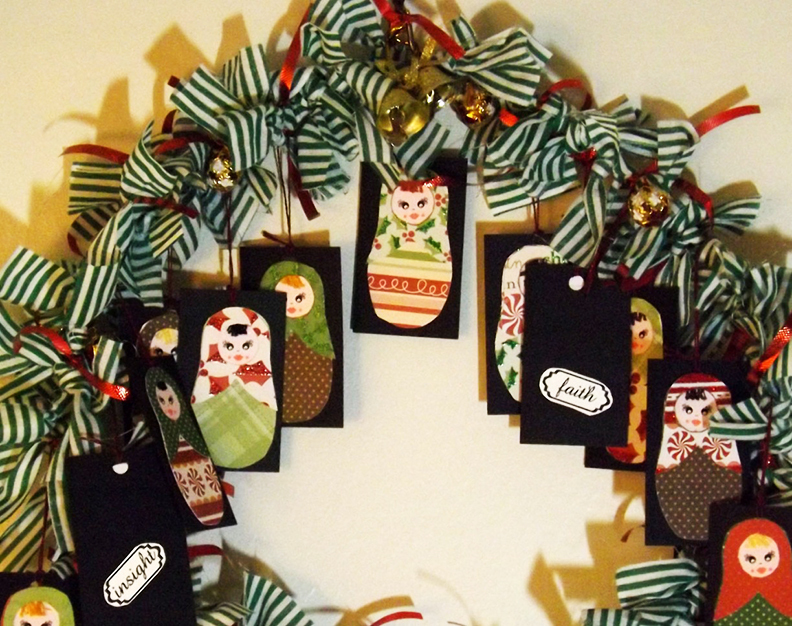 They could also be painted onto a wooden ornament or coloured in digitally and printed onto paper to make great tags. 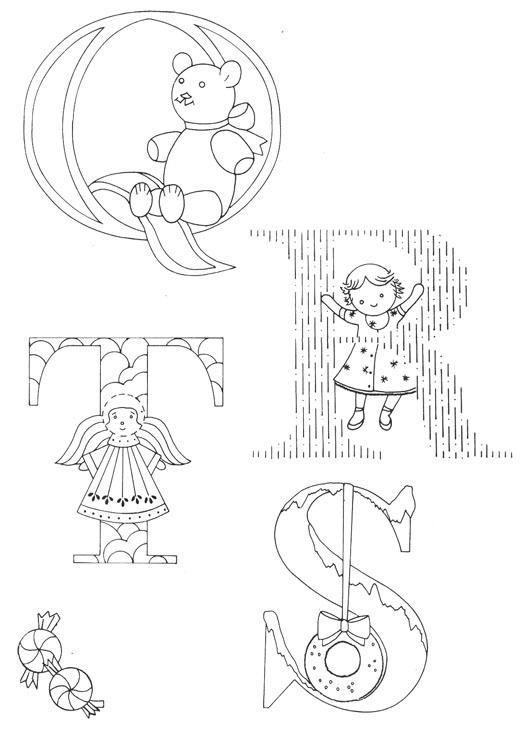 A wonderful Christmas alphabet was published in the Mc’Calls Christmas transfers, Vol II. 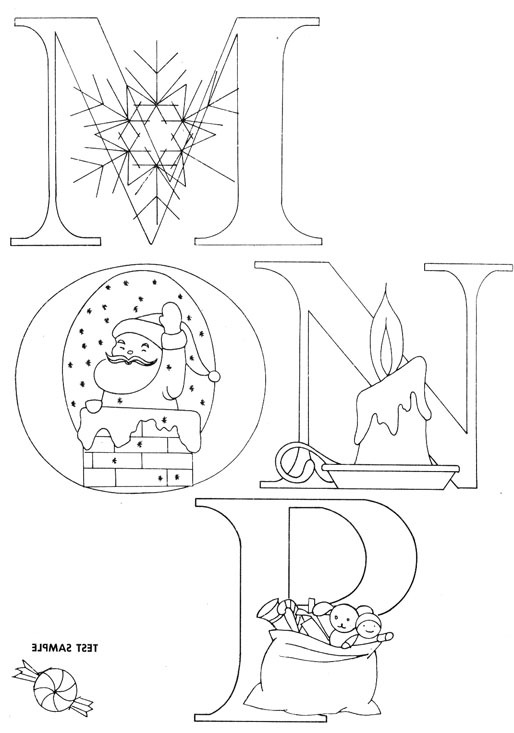 A Santa stocking with your child’s initials could make a great Christmas tradition. 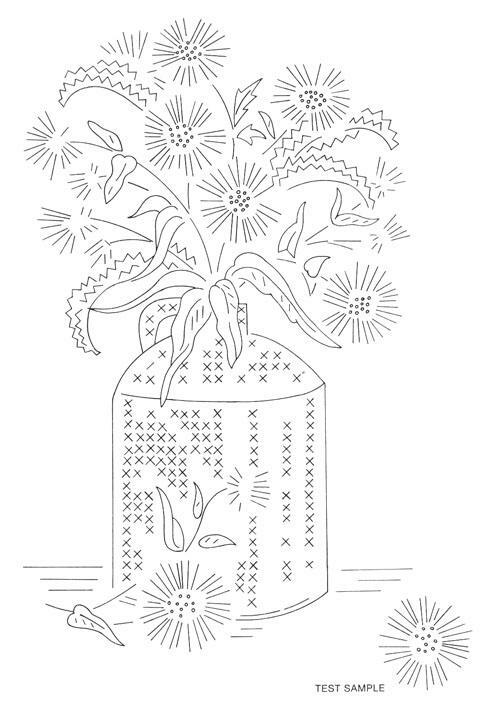 Embroidered onto a quilt block in a table runner, it would make the best hostess gift. 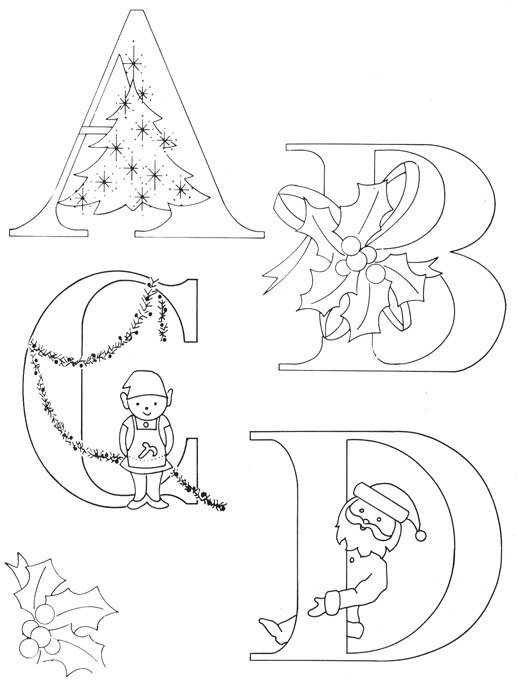 Adding a few beads to the letters would make them extra festive. 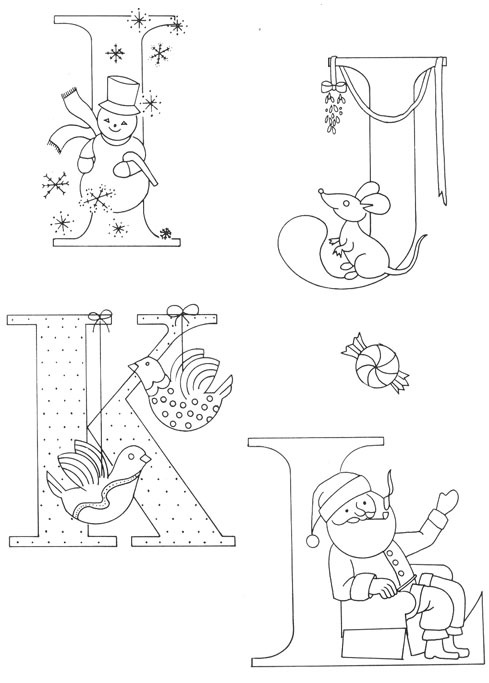 Whether you embroider white on red or red on white to give it a red work appeal this alphabet fits the Christmas season. QRSTUVWXYZ will be posted tomorrow. 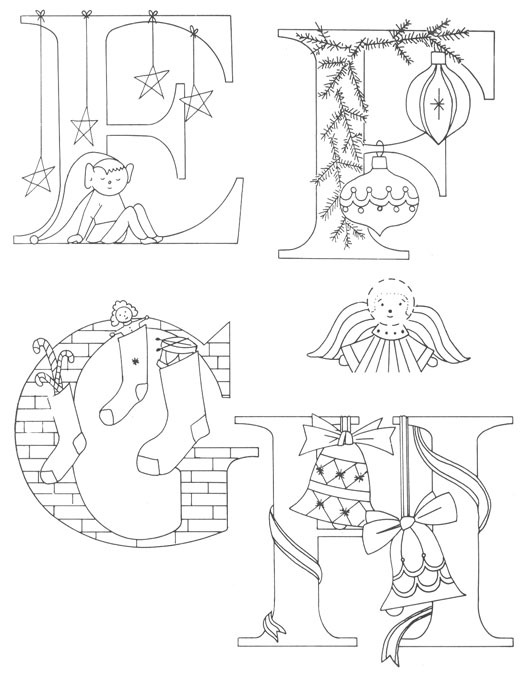 There is still time to whip up two or three initials for this holiday season. Catnip Capers was done for a woman who truly is the mother of these cats. Her favourite flowers are sun flowers and I thought what better than to put the cats in a sunflower garden enjoying the sun on a hot hazy day. The butterflies and dragonflies along with ladybugs are all present on this summer noon along with a hazy sun directly above. The cats are playing and rolling in the grass with one (there’s always one) looking down on them with humour. These cats started as embroidery outlines. I painted and coloured them in Photoshop using a Wacom Bamboo tablet. Once they were fully drawn and coloured in I used filters to give them a soft furry look. 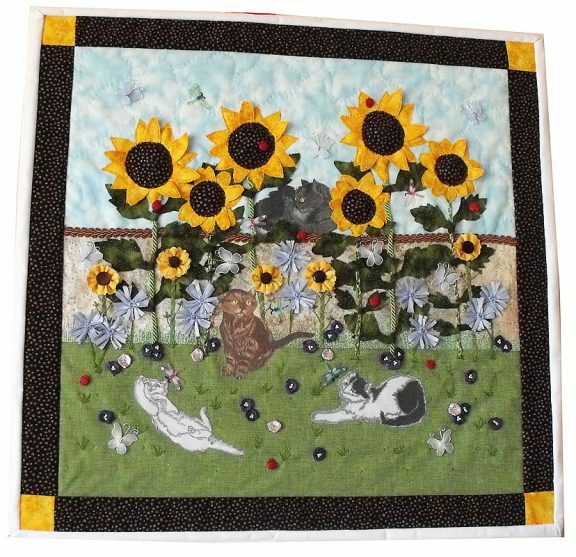 The sunflowers have stuffed middles along with some of the petals that have been sewn down onto the quilt background. Other petals are double sided giving the flowers a 3D look. The stems are twisted cord, ribbon and embroidery floss. Large leaves were cut and sewn with a raw edge and then fray stop was used to keep them from fraying. The brown-eyed susans have button middles and the flower petals are simply a piece of gathered strips that has been cut with a pinking blade and doubled. The chickweed flowers were made on a daisy loom with ribbon and seed beads sewn for the centers. The little forget-me-nots are made with dark silk from men’s ties and mauve lame. 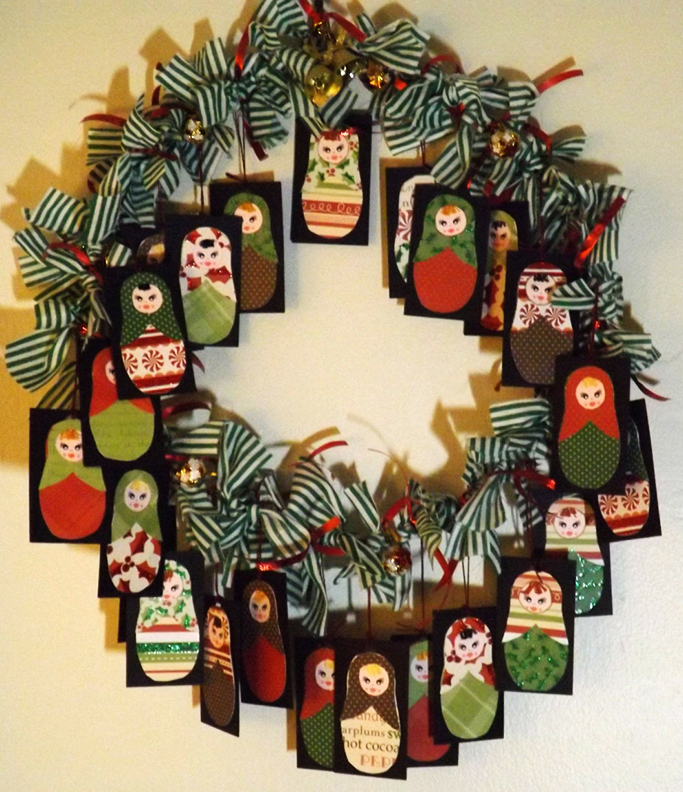 Simple small yoyos turned backward and sewn down with more seed beads. The dragonflies, butterflies and ladybugs are buttons and embellishments. This quilt was an absolute joy to make from start to finish.